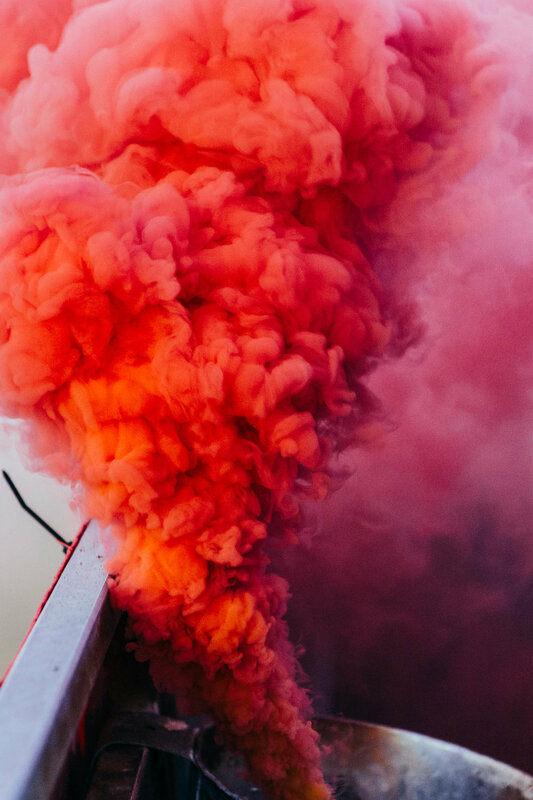 If you’ve had the opportunity to attend a Phoenix Rising Football Club match, you’ve no doubt heard the non-stop chants as well as seen the black and red smoke pouring out of the south end stands. It’s basically a solid 90 minutes of supporters throwing their unwavering support behind the squad. One of the two main supporters groups responsible for that support, as well as creating a pretty incredible stadium atmosphere and culture, is Los Bandidos. 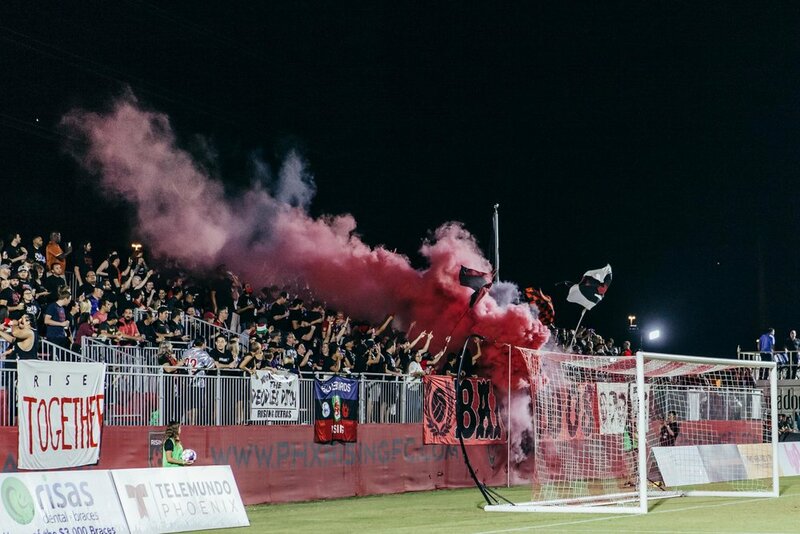 Los Bandidos started in 2017 when Arizona United became Phoenix Rising FC. It began with a few friends who wanted to create a group that was socially minded and reflected the Latino community in the Valley. We chatted with a couple of the founding members about the roots of Los Bandidos and the culture that surrounds it. 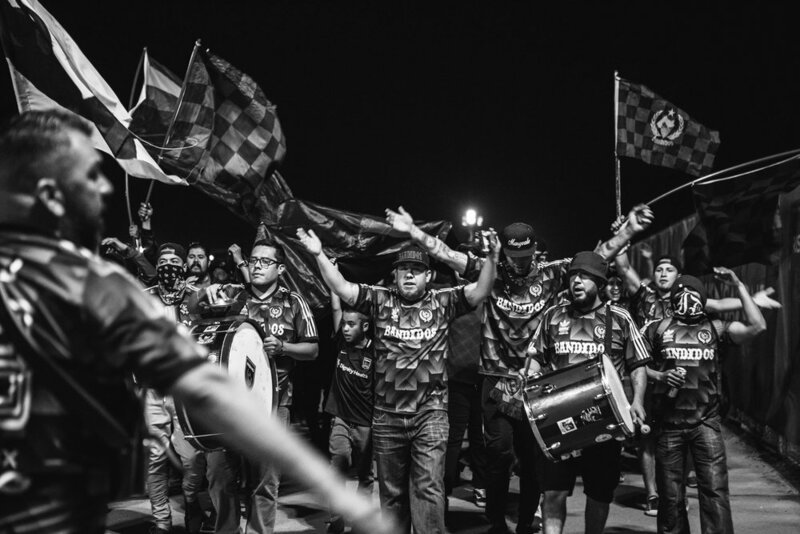 What do you think gives Los Bandidos an individual element when it comes to supporter culture? We put a lot of expectation on every single individual, because we believe that if every individual plays their part equally - we end up with a formidable supporting style. Our thinking is group-oriented, but by embracing the potential of every person. The group is better when the individual does better. What are the groups roots as far as music and culture go? We have an interesting mix of musical tastes and cultural backgrounds. It’s not at all uncommon to hear cumbia, punk, ska, rock en Español. Since the beginning of this group, we’ve had a lot of diversity. We’ve had Mexicans, Xicanos, Anglo-Americans, Central Americans, since the start of our time. It means we’re familiar with barrismo (the Latin American support style), and we’ve had to learn and get insight into other ways of support. Now we have even more diverse perspectives to learn from. Are there any supporter groups around the world that Los Bandidos has a special affinity with? Any politicized groups around that you particularly align yourselves with? We’ve come to befriend some real authentic supporters and activists from around the world. Sector Latino, the Fountain City Ultras, the guys at Gate 9 at Omonia. We talk to supporters from even more groups who see eye to eye with us. Previously when Trump became President, we all felt the urgency to take an Antifascist stance which we still hold. The difference now is that we embrace a lot more forms of community action and of raising awareness on social justice. Having been at the matches for the past two seasons, it looks like you guys have grown by leaps and bounds. What do you think it is that attracts new supporters to your group? It comes down to how we represent ourselves at matches. The devotion and intensity we give to our team is something that people notice and want to be a part of. 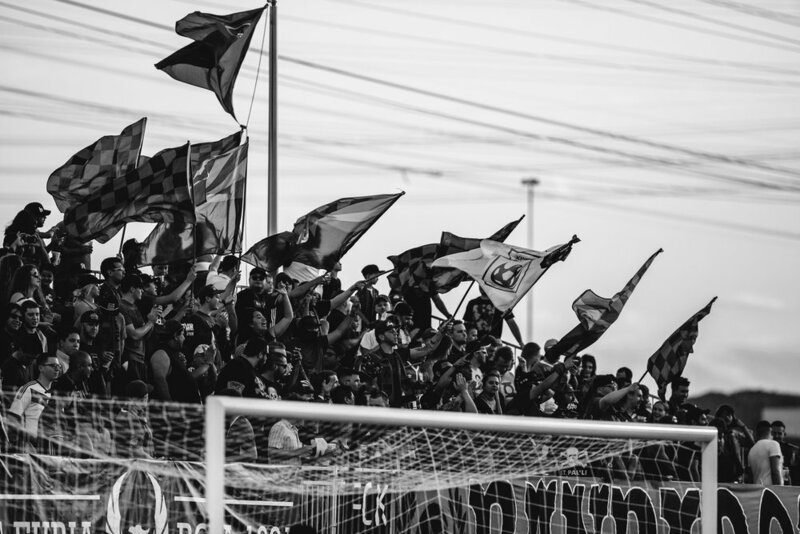 For anyone that’s new to supporter culture, what can they expect from Los Bandidos? New supporters can expect unrelenting intensity, sincerity and enthusiasm on and off the stands. We like music, tacos and beer! What’s your view on the state of soccer culture here in Arizona? How have you seen it change/grow the past few years? Soccer culture has been here for many years but it wasn’t always easy to find. The difference now is that Rising has been able bring people from all around the Valley together to display our love for the game. It’s clear that reaching MLS is a huge goal for the front office, is there a general consensus on how the group feels about that goal? We are unwavering in that we will support this team regardless of what league we are in, however, I would say that a majority of the group prefers USL over MLS. Any away days planned for 2019? Absolutely! Apart from Orange County and Las Vegas we are looking forward to visiting the two new south west teams in El Paso and Albuquerque. Learn more about and get involved with Los Bandidos here.